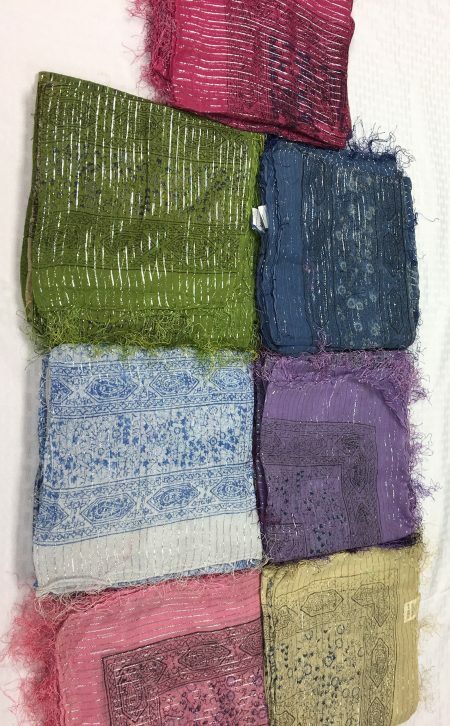 These colorful square scarves from India come in several colors and can be used as head covers or scarves and are great for all ages. 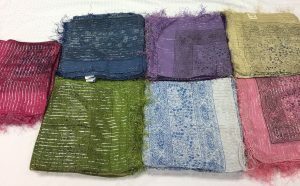 Made of 100% cotton with sparkly ribbon throughout, these scarves provide a stand out look that can be dressed up or down. All colors measure 40″ X 40″.